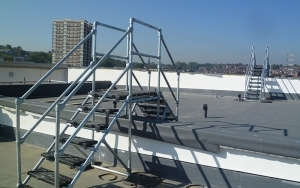 Bespoke Step Overs provide safe access over pipework, plant equipment and conduits or can be used to accommodate changes in roof levels. 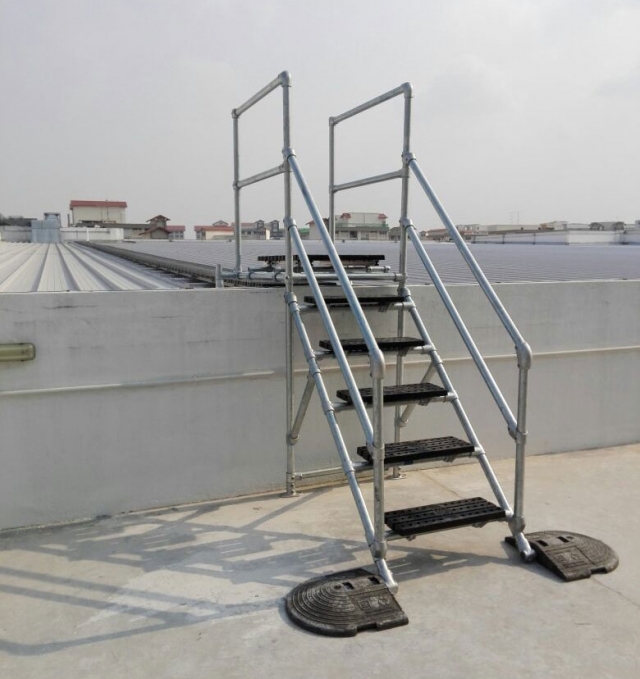 When regular access to an area on the roof or at ground level is hampered by obstacles or changes in level, our Bespoke Step Overs can be tailored to meet specific site requirements. Constructed from Kee Klamp galvanised or Kee Lite aluminium fittings to provide a robust and durable access solution, step overs can be tailored to meet virtually any configuration, height and width. 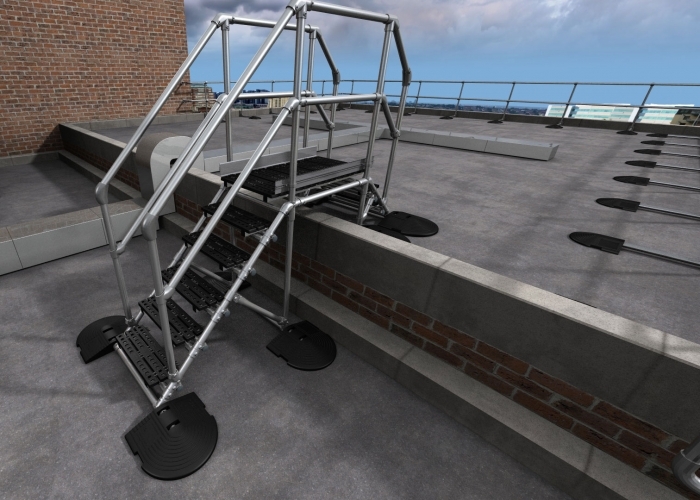 Our Step Over Platforms are custom designed to suit the individual needs of every application, this means that every platform will be designed to provide the safest method of access possible. 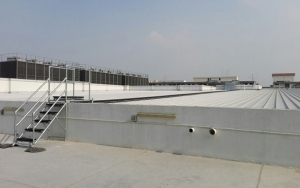 Step Overs are modular in design for ease and speed of installation and are designed to comply with current regulations and standards such as the Work at Height Regulations and EN: 14122 part 3 and 4. Watch our video case study to see how our Bespoke Step-Overs and KEEGUARD roof edge protection provide a first-class fall protection solution for workers who need to access the rooftop of the Oslo Kongressenter building in Norway.